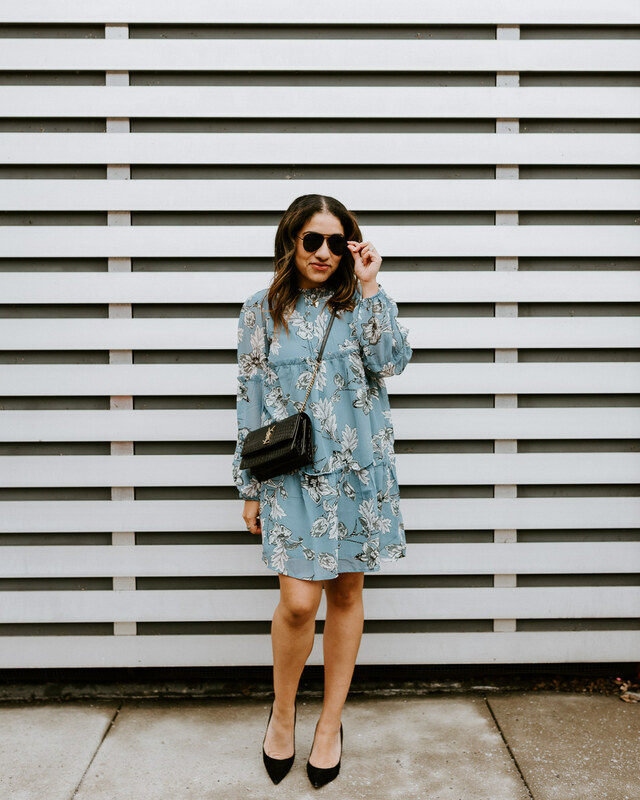 I’ve talked about unexpected holiday wear before, and I really seem to gravitate towards blue when I’m trying to look festive but not too Christmasy. There’s definitely a time and place for both! I love this blue sequin skirt as an alternative to more traditional holiday pieces. I wore it a little differently last year, but here I wanted to pair it with a smart vest and booties. It’s the perfect look for when you want to appear put together but not super dressy. This would be great for a friend’s holiday party or even a girls dinner around holiday time. PS- Don’t forget about the Holiday Giveaway going on! OH I love this skirt!! That blue color is gorgeous and who doesn't love sparkle this time of year! You look super fab! Love this look. Great boots/purse combo. Love this sequin skirt! Everything looks so good together! How pretty is this?! I love the pop of color and sparkle. Glam without being over the top. It's perfect! Great photos, too. I agree with blue. There is way too much red and green going on during the Christmas holiday. You look great! You're rocking SO many of my winter favorites! 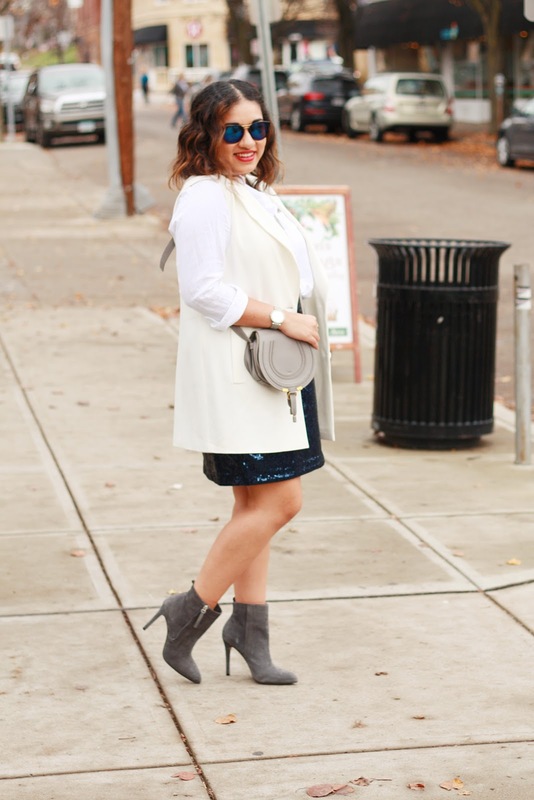 The grey boots and gorgeous crossbody… the marble necklace and sequin skirt (in unexpected blue) are all perfection! I love your sparkly skirt and that handbag! You look fantastic!